Father of 3, Husband, Small Businessman & Congressman representing the people of #Illinois' 8th District. Official account of the Raja for Congress campaign. The main reason for developing the twopscore was to identify accounts that are either fake, inactive or not very engaged. We check a Twitter profile for 10 characteristics and each of these characteristics is qualified. In some cases the qualification is either 0 or 10, and in some cases the qualification can be between 0 and 10. All elements have equal weight and the average of all 10 elements gives the twopscore. For profile image, bio, location and url, the score is either 0, when it is not submitted, or 10 when it is submitted. 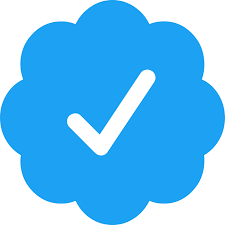 For total followers, tweets and likes we only consider values up to 1,000, so everything above scores a 10, everything below scores pro rata with the actual number. If no tweets are submitted, the last tweet was more than 30 days ago, or an account is protected, last tweet scores 0. If the last tweet was between 0 and 30 days ago, the score is between 0 and 10. Tweets per day is based on average tweets per day during the lifetime of an account, taking age of the account into consideration. Lastly, we value seniority, and the older an account is, the higher the score, up to a maximum of 10 points. If you sign in with Twitter, you can request a detailed follower analysis for this account.